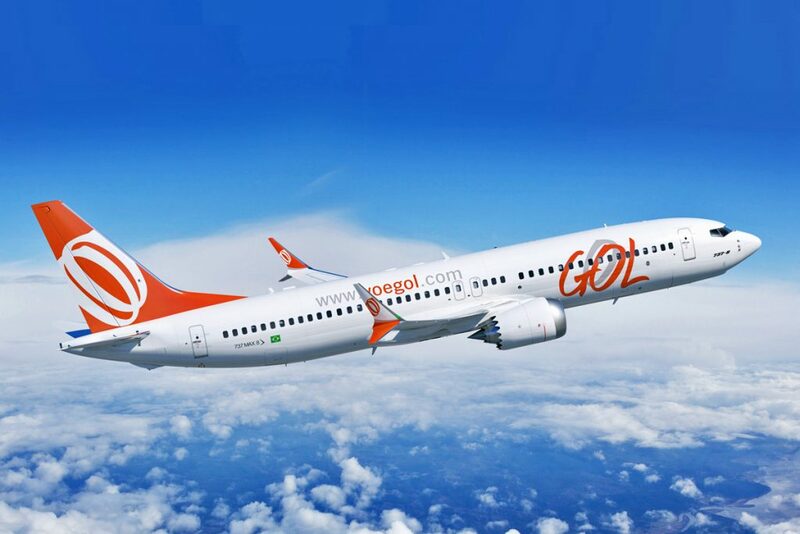 Home Business GOL, Brazil’s Largest Airline, Launches Direct Flights to the U.S.
Brazilian airline, GOL, is now offering daily direct flights between Brasília and Fortaleza to Miami and Orlando on its new state-of-the-art Boeing 737 MAX 8 airplanes. RIO DE JANEIRO, BRAZIL – The largest airline in Brazil, GOL Linhas Aéreas Inteligentes (GOL), has started offering direct flights from Brazil to the U.S. Starting earlier this month, the airline is now operating four daily flight departures on its new Boeing 737 MAX 8 airplanes from GOL’s hubs in Brasília and Fortaleza to Miami and Orlando. GOL Airlines is now offering direct flights to Miami and Orlando, photo courtesy of Gol Linhas Aéreas Inteligentes. “Our launch of direct flights to the U.S. marks a new era for GOL, as we expand our international operations beyond Latin America,” exclaimed Eduardo Bernardes, GOL’s vice president of sales and marketing. According to GOL executives, the company’s existing partnership with U.S. airline, Delta Air Lines, will allow GOL passengers on the new flights to Florida to connect to eight cities U.S. cities: Atlanta, Salt Lake City, Cincinnati, New York, Detroit, Los Angeles, Indianapolis, and Minneapolis. GOL’s new direct flights to Florida will be on the company’s new state-of-the-art Boeing 737 MAX 8 aircraft. The new airplanes are five percent larger than GOL’s earlier 737’s, increasing seating capacity from 177 passengers to 186. 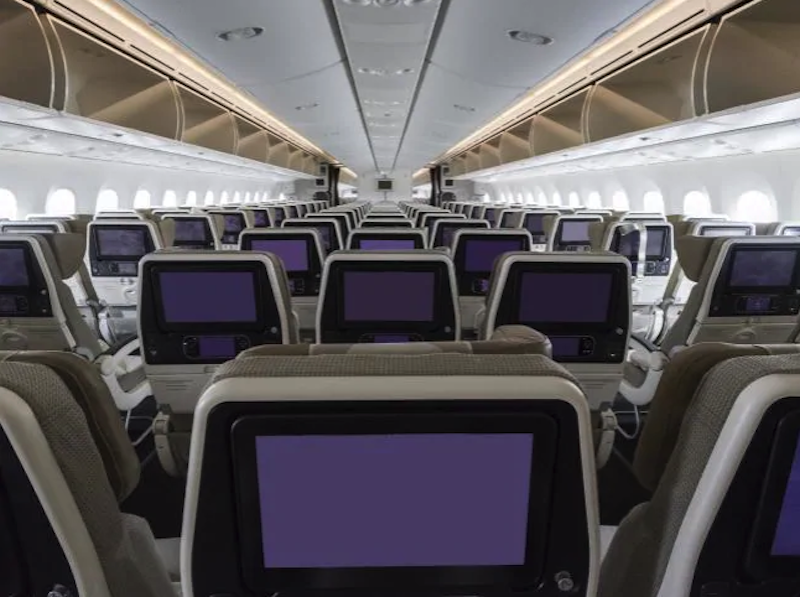 In addition, passengers will be able to enjoy in-flight entertainment, including live TV, movies, and various shows on demand, at no additional cost. In-flight internet is also available, enabling passengers to access emails and social media while in the air. Finally, to further entice U.S.-Brazil travelers, on its new 737 MAX 8’s GOL will be offering “premium economy” seating sections where the company has removed the middle seat from the traditional three seats on either aisle configuration. In the “premium economy” section, GOL will eliminate the middle seat in the the three seat configuration and add a table to be shared by passengers on either side, photo internet recreation. The middle seat has been replaced with a space-saving table that can be shared by passengers on either side. “The idea is to offer the passenger a new international experience with the 737 MAX,” said GOL president Paulo Kakinoff to local reporters at the announcement of the new U.S. direct flights. Started in 2001, GOL Linhas Aéreas Inteligentes is considered Brazil’s largest airline with a fleet of over 120 aircraft and operating seven hundred flights a day. Last year, 32 million travelers flew with GOL Airlines to 67 destinations, thirteen of which were international.